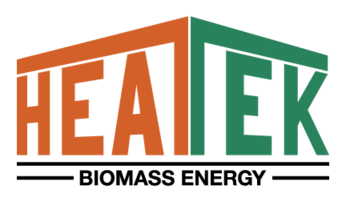 Made in America wood chip boilers and wood pellet boilers with fully automated wood chip and wood pellet feeding systems. 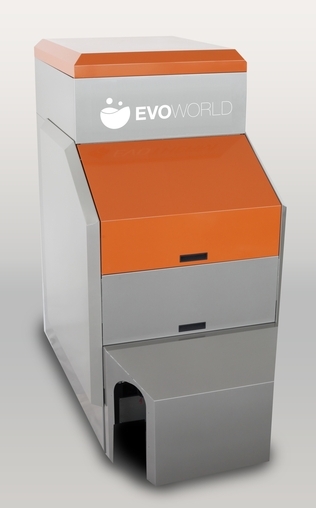 Evoworld boilers can be sized for residential applications up to large commercial facilities and schools. 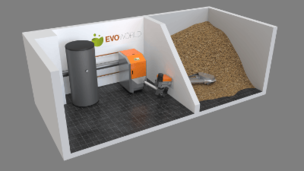 Evoworld wood chip boilers and wood pellet boilers are built to ASME specifications. 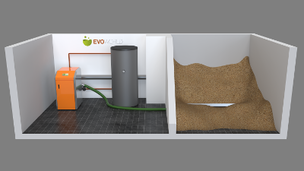 The image above shows a 35-50 kW wood pellet boiler with a trough style auger feed system for wood pellets. This design allows fuel storage to be integrated into existing building space.